Enjoy a laidback Caribbean vibe and a dash of the New Orleans high life on Carnival cruises to Key West. This island is the western-most point of the Florida Keys, a coral archipelago stretching south-west off the coast of Florida. 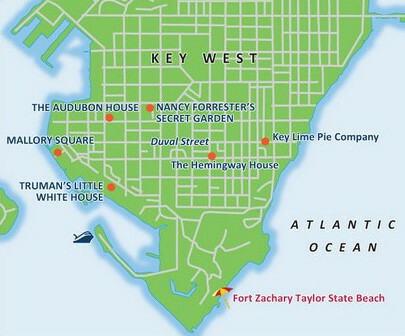 With many bridges connecting the mainland to the island, Key West, the southern-most city in the US, is only 208 km (1291 miles) south of Miami. With the Atlantic to its east and the warmer waters of the Gulf of Mexico to its west, Key West enjoys balmy weather all year round, making it a hot spot for vacationers and a popular destination for cruise ships. It is a sunny, fun-loving place with lots of history, plenty of charm, and more than a little touristy goofiness. Key West cruises deliver you to palm-shaded streets lined with gaily painted bungalows, vintage saloons and blooming tropical flowers. In 1985, treasure hunters plucked more than $450 million in gold and artefacts from the sunken Nuestra Señora de Atocha that sailed these waters in 1622. You can see the haul at the Mel Fisher Maritime Heritage Museum near the docks. Playwright Tennessee Williams lived in Key West in the 1940s and owned a house at 1431 Duncan Street. 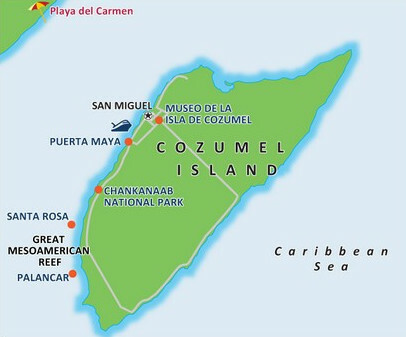 Cozumel in Mexico is a Caribbean island perched atop a coral reef. 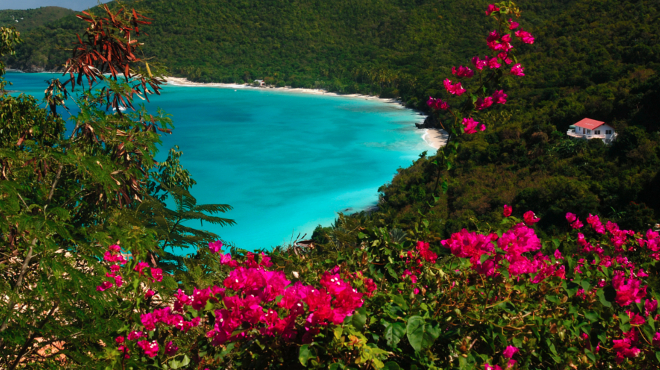 Cruises dock at the island’s heart – just minutes from San Miguel’s seafront shops and the white sandy beach at Chankanaab National Park. Drift among star corals and sea fans on a Cozumel diving excursion or simply kick back on the beach beneath your own palm palapa as turquoise waves roll in. Scuba divers are spoilt for choice on Carnival cruises to Cozumel, with a dozen dramatic dives from the Palancar Canyon to the Santa Rosa wall. But a dive in the deep is not the only way to get your feet wet. Swim with dolphins at Dolphinaris, paddle in clear kayaks, snorkel coral reefs or enjoy Cozumel’s miles of beaches.